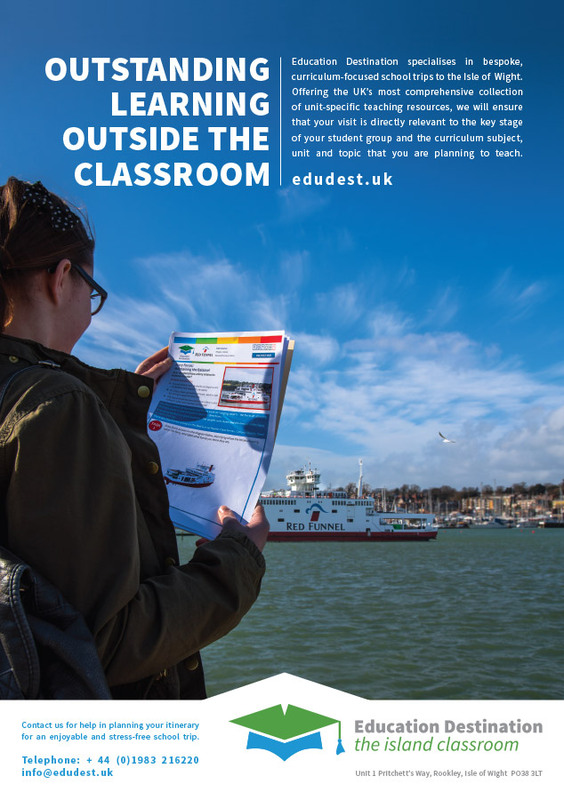 Education Destination or ‘ED’ for short provide quality educational visits to the Isle of Wight, supported by inspired resources and activities prepared by qualified teachers to meet new curriculum objectives. 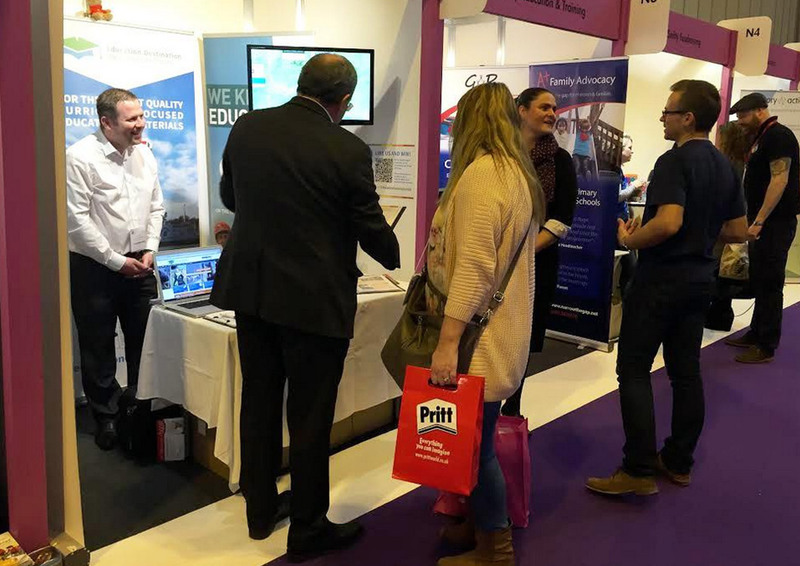 The Isle of Wight is The Island Classroom – an incredibly diverse range of opportunities to teach and learn about virtually every subject, all within a small geographic area and supported by experienced service providers with a long history of catering for visitors. ED offer 100% Bespoke Trips & Visits to the Isle of Wight, any time of year. 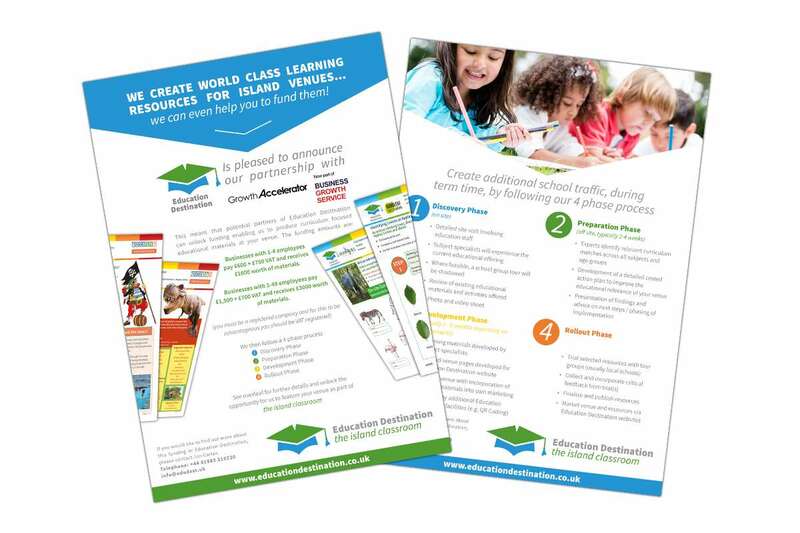 From their website www.educationdestination.co.uk schools are able to pick and choose from curriculum linked resources and activities to suit their own requirements and build their own unique itinerary. 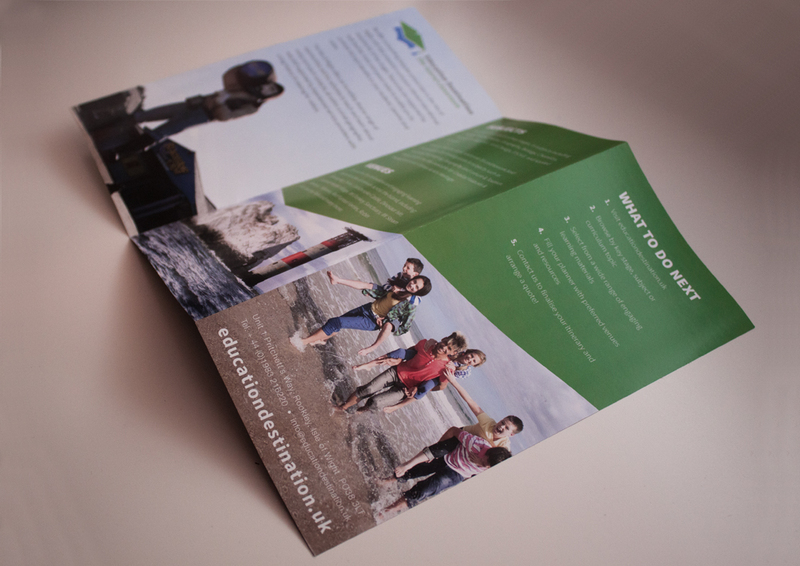 Alternatively they can even choose from one of the many ready-made, tried and tested trips already existing on ED’s site. The brief for this project was very clear and concise. 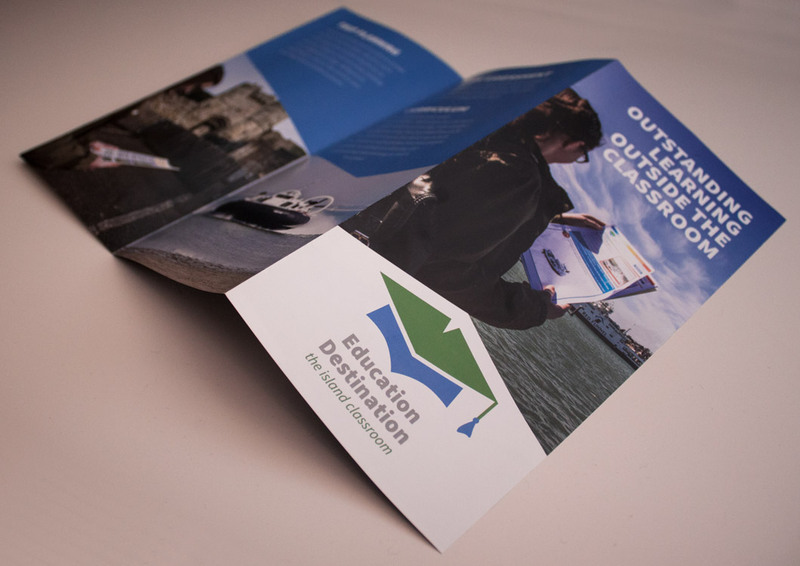 The logo had to convey education, the Isle of Wight and quality and it had to do it without the need for text. The graphic needed to stand alone and be understandable. 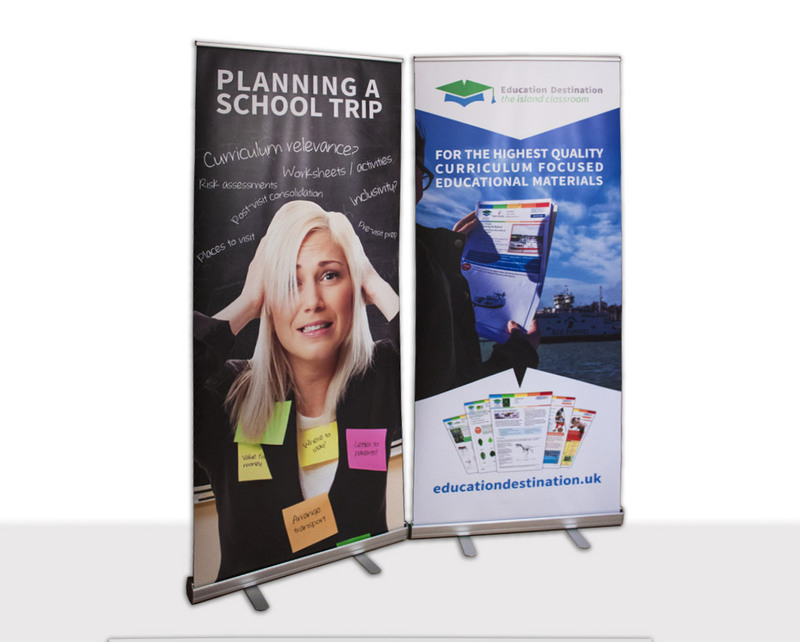 We set about working up several visuals which evolved into a clever connection between the shape of the Isle of Wight and the shape of a mortarboard which are used at many graduation ceremonies. We wanted to keep the logo as simple as possible because as we know simple is always the most effective and makes it easier to communicate what you are trying to say to an audience. The final design was coloured in green and blue to symbolise the land and sea which helps to convey the message to the public. Also by using a primary colour and a secondary colour it symbolises the diversity of market that education destination are aiming the brand at. Not just primary school and not just secondary school but any school. 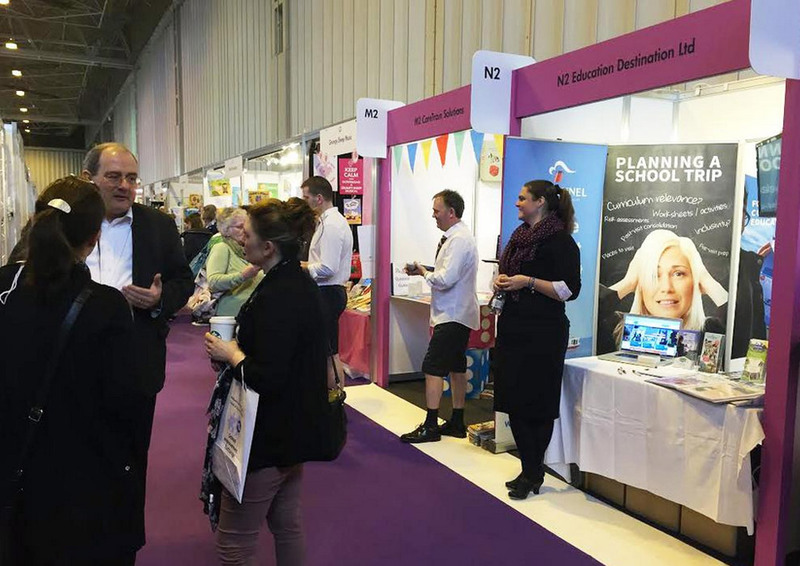 Especially any school that has a passion for fantastic education experiences which Education Destination can offer. 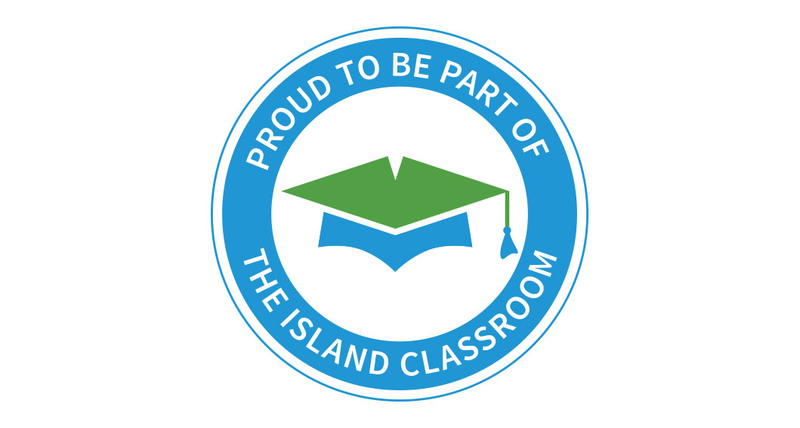 The logo will be used across the board through advertising, websites, educational packs and promotional materials as well as at many island venues in promoting the education destination brand to schools, pupils and parents.